Scientists from the Ohio University claim that in our mattress there are around 10 million dust particles. They can be allergenic and very harmful because their feces can cause irritations to our skin and lungs. How can we clean our mattress thoroughly? You can use one simple method for cleaning and refreshing your mattress entirely. The ingredient you will need is very simple and it is most likely that you already have it in your kitchen. 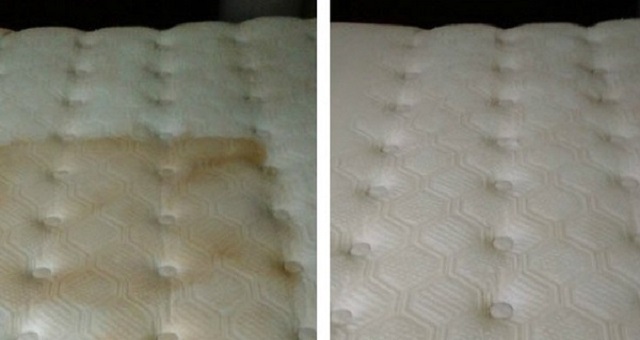 Remove the linen from your mattress and put baking soda all over it. For easier application you can use a sieve. If you want to improve the smell and some essential oil. The baking soda should act within a couple of hours. Afterwards you can vacuum and remember to use slow motion because it is more efficient. The baking soda will destroy the dirtiness and the moisture from the entire mattress and the essential oil will leave the mattress fresh. You can also clean your mattress by using a steamer, that will help you to remove stains and it will disinfect the mattress. Remember to put sheet only when your mattress is fully dry.